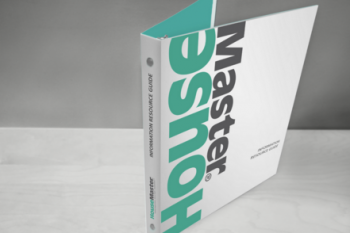 At the start of your inspection, you will receive the exclusive HouseMaster Inspection Resource Guide to help you make the most of your home inspection experience. The Guide is designed for use during and after the inspection. For example, to encourage you to ask questions and take advantage of your inspection time, there is a notes page with plenty of space to jot down notes and a layout grid to document room measurements and window placements. You will also find information to help you better understand the home inspection process and what to do once it's over. In addition, the Guide includes a section called "Repair Statistics". This information comes from HouseMaster's Home Defect Survey and highlights the most common concerns found in homes by age. These statistics will help you better understand the report findings and how your new home measures up. Once the inspection is over - we continue to help you. Included in the Guide is a section created by HouseMaster, providing instruction on making 15 common home repairs or maintenance tasks. The rest is up to you!